Carlisle ended a run of four defeats and arrested their slide towards the relegation zone with a 3-0 win at home to MK Dons. First-half goals from Lee Miller and Brad Potts set up their first double of the season and David Amoo's header just before the hour-mark proved to be the clincher against a Dons side that never really got into gear. Dons kept Carlisle goalkeeper Greg Fleming on his toes in the first half as Chris Long and Ben Reeves, the latter with a 30-yard free-kick. Long threatened again in the 36th minute with a rasping right-footed shot which Fleming clawed away. 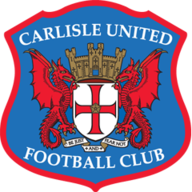 Carlisle were just ahead in terms of possession and their attacking finally paid off with two goals in a five-minute spell late in the first period. Dele Alli's foul on Pascal Chimbonda on the right led to a free-kick in the 38th minute and James Berrett's dangerous ball into the box was steered home from six yards by Miller. Carlisle made it 2-0 in the 43rd minute when Amoo's fine run and cross from the right gave Potts the chance to slide the ball home from close range for his first senior goal. 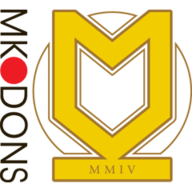 Dons had all their substitutes on early in the second half, but it was Carlisle who remained on top, scoring again in the 57th minute when Amoo glanced in a near-post header from Berrett's corner on the left. When Dons did put Dean Bowditch in the clear late on Fleming timed his challenge perfectly, diving at the striker's feet to save.